Fridge, from the fridge to your table! 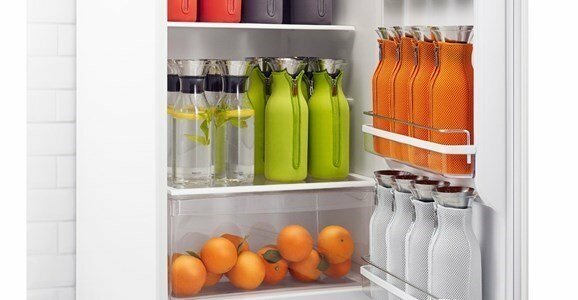 Inspired by the traditional milk bottles, this is the specific bottle for cold beverages, having the right size for your fridge's door. 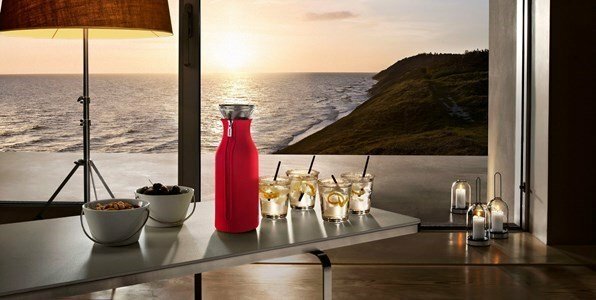 Colourful and functional... just choose the colour and enjoy it! You can put inside ice, lemon slices or even pieces of fruit; you can create new aromas or flavour yourself with the everlastinf aromas... The mouth of the carafe is wide enough to do so. 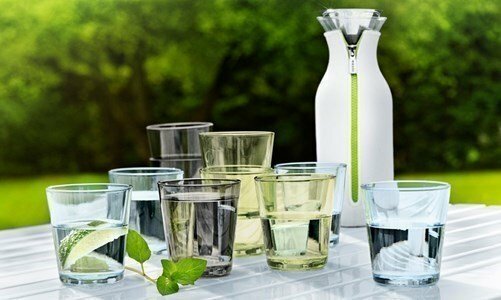 It icludes the anti-dip patented serving system by Eva Solo, stopping pieces of ice or lemon from falling in your drink and that you can enjoy your drink till the last drop!!! 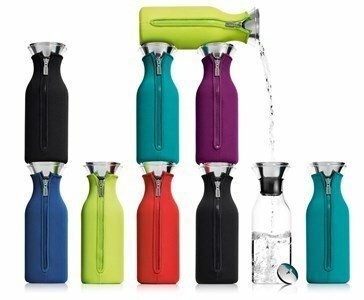 Made of borosilicate glass, stainless steel, rubber and a neoprene cover that comes in different colours. Dishwasher safe, except for the cover, that must be washed by hand and with a neutral detergent. Designpreis 2009 - Nominee - German Design Council, Germany. IF Design Award 2008 - Industrie Forum Design Hannover, Germany.